GoOpti reservation system is based on low-fare transfer model, which means the price of your transfer depends on different factors. The price of GoOpti transfers is lower the sooner the transfer is booked. You will get the lowest price if you book your GoOpti transfer at least two months in advance. We recommend you book your GoOpti transfer right after booking your flight ticket. Early booking lowers your price! The number of people you are booking the transfer for also affects the price of the transfer. If you are traveling in numbers, you are advised to book a transfer for all your fellow travellers during one booking process. The more passengers you book the transfer for the lower the price! 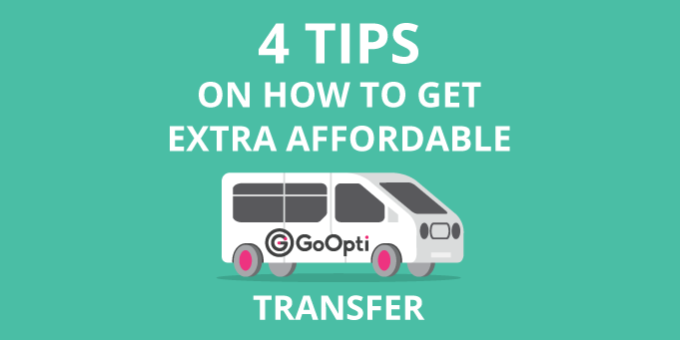 You can also lower the price of your GoOpti transfer by using our Flexibility window This tool allows you to change your departure time interval. The more time flexible you are the lower the price! And don't forget, registered users can lower their transfer price by using the credit in their myOpti wallet. The wallet can be enriched by using the . The more friends and kilometres you collect the lower the price!